Staying apprised of changes in minimum wage rates includes not only making adjustments in your payroll processing, but also ensuring you update your labor law postings to display the new rate. While a number of states will maintain their current rates and/or the Federal Minimum Wage rate, a number of states are making some significant changes. Below is a list of the minimum wages by state in 2018, with notes of the date of any applicable increases (if applicable). Georgia $7.25/hr State minimum wage is $5.15/hr; however, Federal Minimum Wage is higher, so state must use Federal rate. Wyoming $7.25/hr State minimum wage is $5.15/hr; however, Federal Minimum Wage is higher, so state must use Federal rate. Ensuring that you are properly paying your employees for all hours worked can be a complex and challenging task. Between calculating the correct amounts for straight pay, blended rates, overtime and payroll tax withholdings, plus making all the legally mandated filings and reportings for your employees, it can be quite overwhelming. 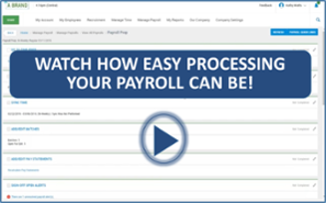 Have a question or need a little bit of help from a payroll expert?